The new standard for rust prevention. Once rust forms, it never stops. Undercoating in a Can is the premier wax-based undercoat to stop corrosion in its tracks. This industrial-strength, solvent-based wax formula works by adhering to metal or wood surfaces, effectively sealing off oxygen while allowing moisture to evaporate through the sprayed film during the curing process. If you want to effectively prevent rust formation and extend the life of your vehicle, the industry standard is right at your fingertips. 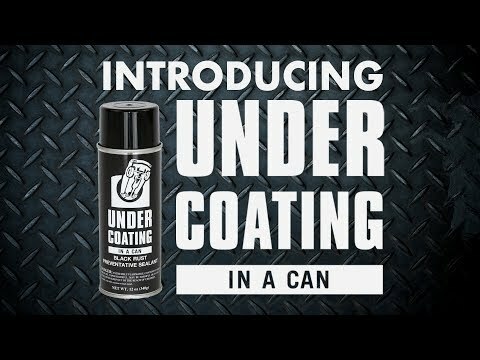 Undercoating in a Can is the perfect preventative for everything from cars and trucks to trailers, commercial fleets, and more. No matter the scale of your protection requirements, Undercoating in a Can will save your undercarriage. 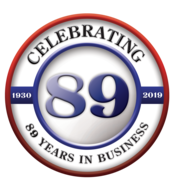 Not only can you still find the original easy-to-use aerosol can, but you can now also find this premium formula in 1 gallon, 1 pint, and 1 quart cans; 5 gallon pails; 16 gallon kegs; and 54 gallon drums. A new state-of-the-art 1 liter pressure pot spray system is also available for applying these new product sizes with the same convenience and flow characteristics of the original aerosol Undercoating in a Can. Don’t let rust and corrosion interfere with your investment.